Dell's latest tablet device, the Android powered Dell Streak 7 has gone on sale in the UK with the 7-inch device landing will a respectable £299 price tag. Building on the original Dell Streak, a 5-inch middle ground between smartphone and tablet, the new Streak 7 is now available to buy in the UK via the Dell online store following its official unveiling earlier in the year at the Consumer Electronics Show in Las Vegas. Sporting a 7-inch multitouch capable display with 800 x 400p resolution, the Streak 7 will come boasting a 5-megapixel rear-mounted camera with a second 1.3-meg snapper to be found residing on the front. All of this is to come wrapped around an NVIDIA Tegra 2 processor and Google's Android 2.2, FroYo, mobile operating system. Finished with 16GB of internal storage, the Dell Streak 7 will attempt to challenge the likes of the Samsung Galaxy Tab as top 7-inch tablet offerings, a title that is expected to be taken by the HTC Flyer when the Taiwanese company's first tablet hits the UK on May 9th. 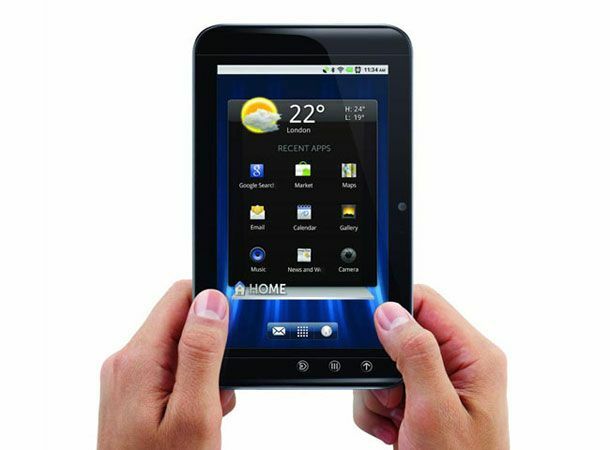 Can 7-inch tablets forge a market for themselves between 4-inch smartphones and 10-inch tablets? Let us know what you think via the T3 Twitter and Facebook feeds.